In the XXI century Celtic punk went global. There are Celtic punk bands in every continent, but there are three exotic areas in which the scene has developed very fast: the old USSR countries, Indonesia and Brazil. 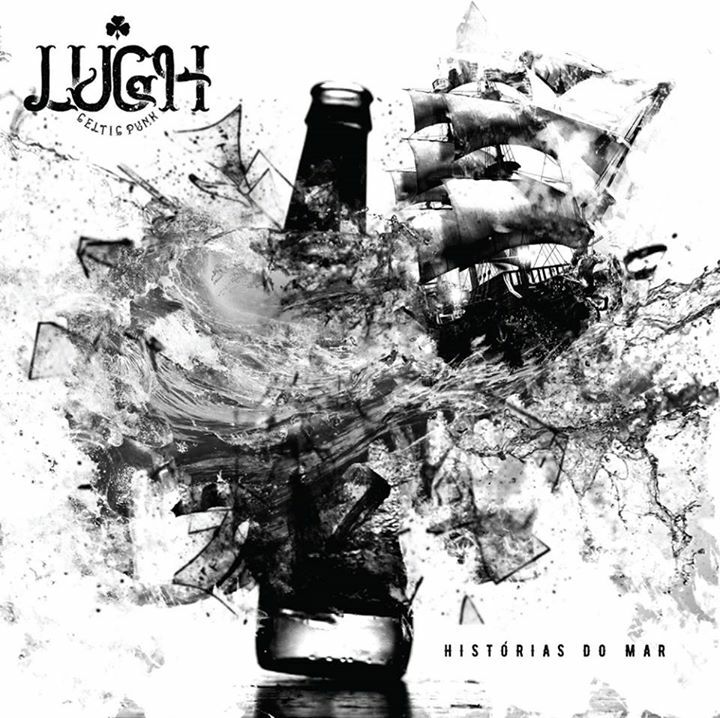 Lugh were one of the first bands to break through and their debut album “Quando os canecos batem” is already a classic album. “Histórias do mar” has been recorded by Daniel Jardim “Makako” on guitar and mandolin, Lucas Bala on bass, George Polidoro on drums, Leo on accordion and Biaque Santos “Pincel” on vocals. Pincel was a founding member in 2009 and he recorded Lugh’s first EP “Coisas, Musica, Ceva … Vida” (2011). Due to work commitments, he left the band, but he has been in contact with his “marujos” (sailors) friends. When Rafael Miranda (lead vocals and fiddle) left Lugh last year, Pincel came back to front the band. 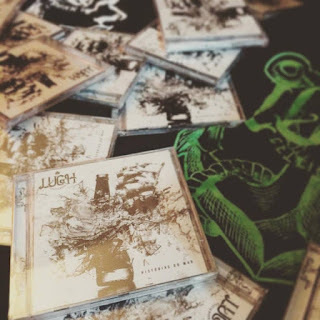 The new album has all the things that have shaped Lugh’s sound: punk sound, gang vocals and brilliant accordion playing by Leo, which adds the Brazilian twist to the music. 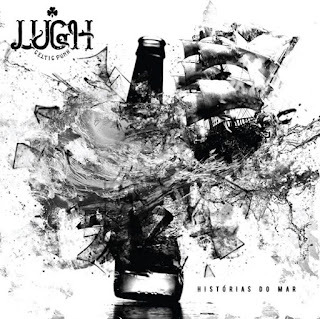 Perhaps Lugh have pushed forward their So-Cal punk influences on “Histórias do Mar”, but there is no big change on the band’s identity. The first number is called “Marujo Perdido”. It’s a Bad Religion infused catchy number with amazing guitar work and the usual lively accordion by Leo. The next song is another highlight: “Hoje à noite” (“Tonight”). This song was the first single from the album and was available for free at Bandcamp. If you have been listening to Celtic Folk Punk Radio on Radionomy, you’ll be familiar with this song, since it has been on rotation since last February 7th. What can I say? Another sing-along anthem by Lugh. “Lutando en vao” (“Fighting in Vain”) is a more electric number and features some brass by guest Thiago “Trosso” on the ska part. Track no. 5 is titled “Estrada do Perigo” (“Road of Danger”). Lugh go folk-metal on this song with more addictive Hey Hey chorus. “Nova fase” (“New Phase”) is an interesting song which is followed by “Tantos caminhos” (“So Many Ways”). This fast-paced song with catchy woah chorus was written by Lugh and Rafael Miranda. Lugh moves to the country punk territory on “Algo para acreditar”, maybe a Social Distortion infused song showcasing Leo’s skills on accordion. Then, Lugh come back to the straightforward So-Cal punk on “Mais um dia”, an epic Bad Religion sounding song. The album ends up with “Todos por Um” (“All for One”), a pub sing-along that fades in the waves. Lugh have remained faithful to their roots with their blend of So-Cal punk and Brazilian music. They keep on singing in their mother tongue and recording their own stuff instead of covering the usual standards. I think that they should be given the credit that they really deserve. If Sepultura have their own place on the Metal history, I feel that, saving the distances, Lugh have their own place on the Celtic punk history too. For a “small” scene like ours, Lugh are truly an innovative band.